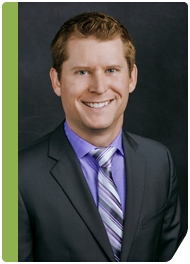 Poplar Healthcare » R. Shawn Kinsey, M.D. Dr. Kinsey received his medical degree from the University of Arkansas for Medical Sciences, and completed residency training in anatomic and clinical pathology at University of Texas Southwestern Medical Center, including a year as chief resident. He also completed a one-year gastrointestinal pathology fellowship at Caris Diagnostics where he stayed on staff for an additional three years. Dr. Kinsey has presented numerous posters at the American College of Gastroenterology annual meetings, written gastrointestinal journal articles, and co-authored a bookchapter in Gastric Cancer (2011). Dr. Kinsey is a member of the College of American Pathologists and the United States & Canadian Academy of Pathology. He joined GI Pathology as a staff pathologist in 2012.